Class 0 Fire protective / decorative top coat. Hard wearing, acrylic eggshell finish. Water-based. 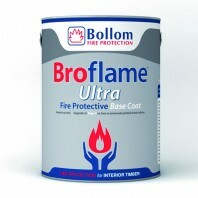 Class 0 Fire protective / decorative top coat. Hard wearing, gloss finish. 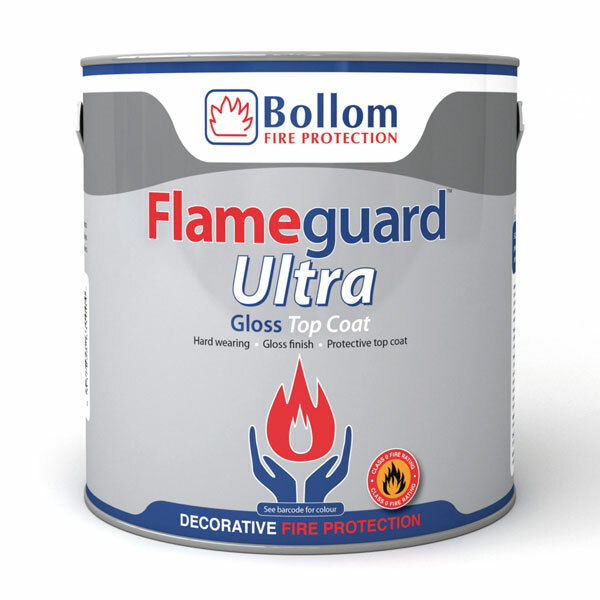 Class 0 Fire protective / decorative top coat. Hard wearing, vinyl matt finish. Water-based. 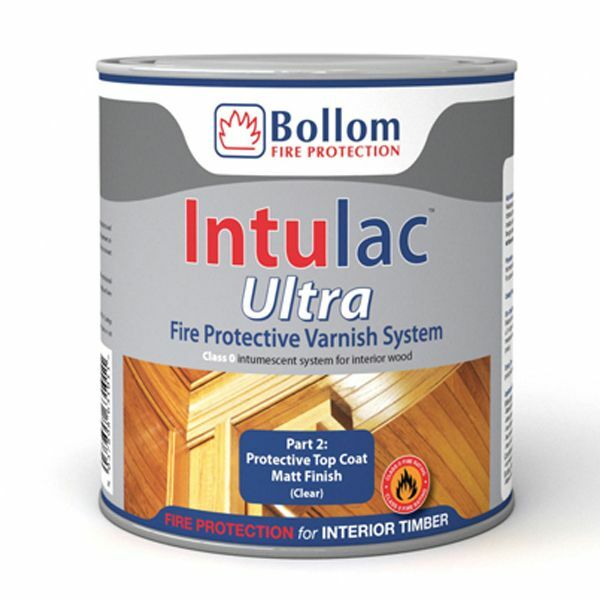 Bollom Intulac Ultra varnish is a high performance fire protection coating system for interior wood surfaces. Water-based. 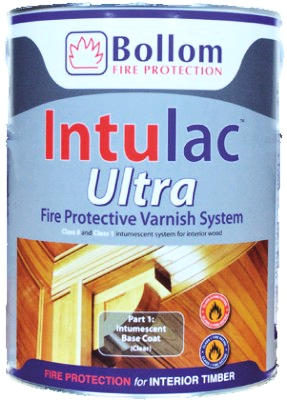 Fire protective / decorative varnish system for interior wood. 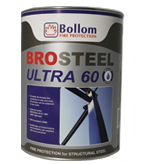 Tools-paint.com offers the full range of Bollom paints, including Brosteel Intumescent Coating, Brosteel Ultra 60, Flameguard, Flameguard Ultra and Intulac Ultra. 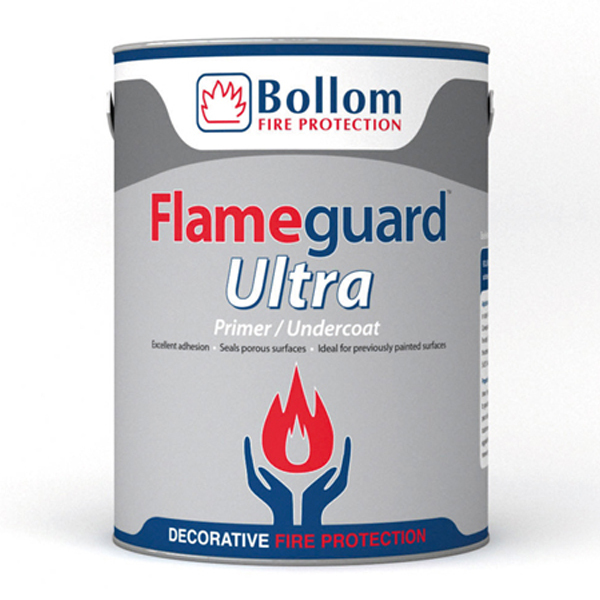 Bollom products have been involved in fire protection for over 25 years. They manufactured the first textured, solvent based intumescent. Since then the range has grown into one of the most comprehensive on the market including decorative coatings not only for structural steel but also internal walls and ceilings, external and internal wood and wood veneer. All products have been fire tested to BS 476 Parts 6, 7 & 21. Call 01753 684084 or 686888 for support from our technical advisors.